As 2010 draws to a close, a recap is in order. The following stories were the top ten in terms of viewership. [18,301 page views, 9 tweets] Over at Thin Progress, the intellectually stunted Matthew Yglesias contends that "If The Founders Had Wanted a Supermajority Requirement for the Senate, They Could Have Put One in the Constitution". [20,739 page views, 50 tweets] In the early 20th century, Argentina was one of the richest countries in the world. While Great Britain's maritime power and its far-flung empire had propelled it to a dominant position among the world's industrialized nations, only the United States challenged Argentina for the position of the world's second-most powerful economy. [25,078 page views, 10 tweets] A recent photo captured the efficiency of the federal bureaucracy as it relates to its "management" of the postal service. [25,210 page views, 95 tweets] "Fear of Sanity" was an apt description of this progressive celebration. [26,848 page views, 30 tweets] A satirical roast of Democrats that actually got me into trouble with Don Rickles' public relations team. Oh -- and it was my first post that made Snopes. [42,556 page views, 81 tweets] Larwyn relayed an interesting message that begins: "Is the President's resume accurate when it comes to his career and qualifications? I can corroborate that Obama's "teaching career" at Chicago was, to put it kindly, a sham." [46,802 page views, 88 tweets] Since Nancy Pelosi took over as Speaker in 2006, she's rung up millions in military travel expenses to commute between San Francisco and Washington. And her children and grandchildren hitched rides on numerous occasions. [72,305 page views, 178 tweets] Check out the crowds at the mall for the 8/28 patriots' rally versus the progressives' "One Nation" protest. [83,584 page views, 112 tweets] It's not every day that one of the prime instigators of the global warming scam buys a 9-bedroom home with ocean views. [121,717 page views, 815 tweets] Some of the attendees of the Democrat Party's preeminent rally are revealing indeed. 10. Pundit & Pundette: 16,726. 9. Curmudgeonly & Skeptical: 17,977. 5. Ace of Spades: 47,114. 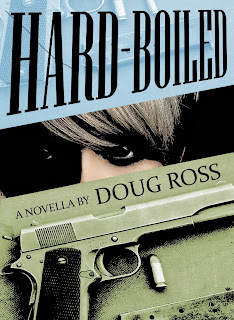 A Happy New Year and a Ginormous Thank You to Every Reader and Every Fellow Blogger. Except for you anti-American types. You know who you are. There's no outrage like the outrage of a liberal who's been told the taxpayer's wallet is closed. A proposed House rule granting new powers to the GOP chairman of the Budget Committee has sparked outrage from Democrats... The proposed rule would allow the Budget Committee chairman to set spending ceilings for 2011 without a vote by the full House. Sounds good. What's not to like? Democrats argue the provision would give unilateral power to Ryan and flies in the face of GOP promises of transparency. Coming from the party that promised -- and failed to deliver in spectacular fashion -- "the most transparent administration ever", that guilt trip rings a tad hollow, no? ...Republicans argue allowing the Budget chairman to set spending ceilings is necessary because of the failure of the last Congress to approve a budget last year. “This provision is only necessary because of Democrats’ historic failure to pass a budget last year. They have nothing but their own ineptitude to blame for this temporary authority,” Brendan Buck, a spokesman for the House Republican transition... Another House aide argued the powers are not unprecedented. The GOP gave the chairman of the House similar powers in the opening days of the 1999 Congress, when the GOP also controlled the chamber. Gee, you mean this rule change not only has precedent but could also help prevent the radical Left Democrat Party from further destroying America's balance sheet? Hat tip: Memeorandum. Linked by: Michelle Malkin and Weasel Zippers. Thanks! We were at the In-Laws' place in Florida this past week. For the trek home, we were scheduled to fly back Tuesday on a flight connecting through Detroit. You may remember that day because several feet of warmal colding blanketed the East. 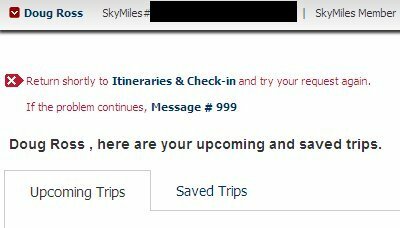 We had booked our tickets through Orbitz, which has a handy notification service. What wasn’t so handy was that on Monday, we received a robo-call from Orbitz simply stating, "Delta has canceled your flight to Detroit." The massive blizzard had resulted in thousands of canceled flights, mostly in the East, but some in the upper Midwest as well. Unfortunately, Orbitz does not try to reschedule for you nor provide any easy options for doing so. 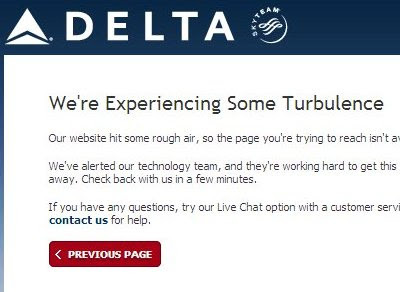 When I tried to reschedule the flight, I found that Delta’s customer service operations had completely melted down. 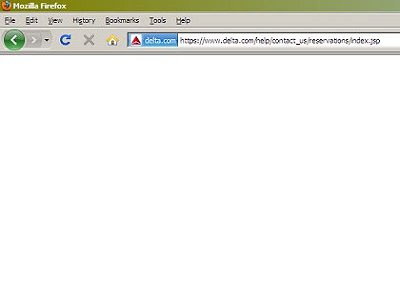 On Monday, calling any of the reservations numbers (general or frequent flier) offered the caller the following helpful message: "Thank you for calling Delta Airlines. Due to extreme weather conditions, we are unable to answer your call at this time." It then hung up on the caller. In other words, no queue, no help. I was pretty shocked that a snowstorm, albeit a blizzard, had seemingly taken out Delta’s entire customer service operation. I was able to message @Delta and @DeltaAir, who confirmed that our flight had been rescheduled through Atlanta and subsequently booked all of our seats together for both legs of the trip. This may be a useful example for businesses of all kinds: whether you like it or not, customers use social media to talk about you — and many times it won’t be positive. 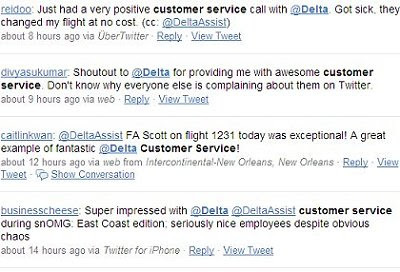 Like my experience with Delta on Twitter, good customer service on active social networks can help take a negative customer experience and transform it into something far more positive. Today's Larwyn's Linx sponsored by: Rename the RINO Contest -- $125 Cash Prize! Well, gee Ira -- I mean Ezra, my mortgage note is nearly 30 years old. I don't really understand it very well, and my interpretation is probably different than the bank's, so our opinions as to what I should pay are amorphous -- confusing, even. After realizing he'd become even more of a laughingstock than usual, Klein used his WaPo bully pulpit to claim he'd been misinterpreted and brutalized by conservatives. ...The rather toxic implication of [my comments] is that one side respects the Constitution and the other doesn't. That's bunk, of course: It’s arguments over how the Constitution should be understood, not arguments over whether it should be followed, that cleave American politics. 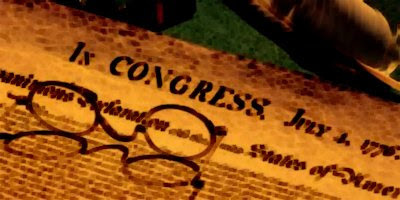 The Constitution was written more than 223 years ago, and despite the confidence various people have in their interpretation of the text, smart scholars of good faith continue to disagree about it. And they tend to disagree about it in ways that support their political ideology. I rarely meet a gun-lover who laments the Second Amendment's clear limits on bearing firearms, or someone who believes in universal health care but thinks the proper interpretation of the Commerce Clause doesn't leave room for such a policy. Everyone with an iota of intellectual curiosity knows the history of the New Deal and how great swaths of it were ruled clearly unconstitutional by the Supreme Court. It was only after FDR's threats to stack the Supreme Court -- to bring four new Elena Kagan members to bear -- that the Democrat president was able to bully the High Court into egregious rulings like Wickard vs. Filburn. Wickard v. Filburn, 317 U.S. 111 (1942), was a U.S. Supreme Court decision that dramatically increased the power of the federal government to regulate economic activity. A farmer, Roscoe Filburn, was growing wheat to feed his chickens. 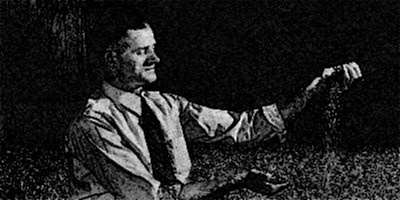 The U.S. government had imposed limits on wheat production based on acreage owned by a farmer, in order to drive up wheat prices during the Great Depression, and Filburn was growing more than the limits permitted. 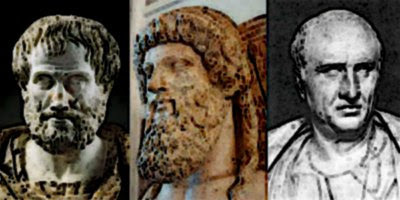 Filburn was ordered to destroy his crops and pay a fine, even though he was producing the excess wheat for his own use and had no intention of selling it. The Supreme Court, interpreting the United States Constitution's Commerce Clause under Article 1 Section 8 (which permits the United States Congress "To regulate Commerce with foreign Nations, and among the several States, and with the Indian Tribes;") decided that, because Filburn's wheat growing activities reduced the amount of wheat he would buy for chicken feed on the open market, and because wheat was traded nationally, Filburn's production of more wheat than he was allotted was affecting interstate commerce, and so could be regulated by the federal government. You read that right: a cowed Supreme Court, which had been blatantly threatened by FDR, ruled that a farmer growing wheat for use on his own farm was engaging in interstate commerce. A more outrageous court decision you'd be hard-pressed to find. Wickard, in particular, opened the floodgates to expansive interpretations of the Commerce Clause, never before contemplated in American history and certainly foreign to the principles enunciated by the Framers in all of their writings. So, yes, Klein is a lying schmuck who either knows little of the Constitution's history or simply doesn't care. 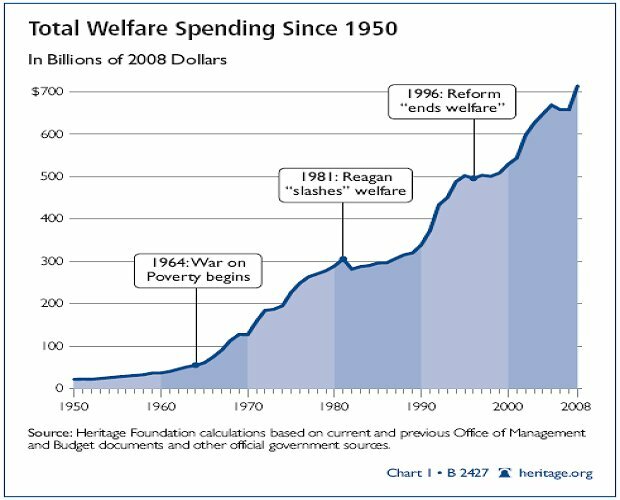 The very welfare state he supports is collapsing around us: Medicare, Medicaid, Social Security, "Great Society" and every other disastrous Democrat brainchild hatched since the Wickard decision has America literally teetering at the brink of economic collapse. 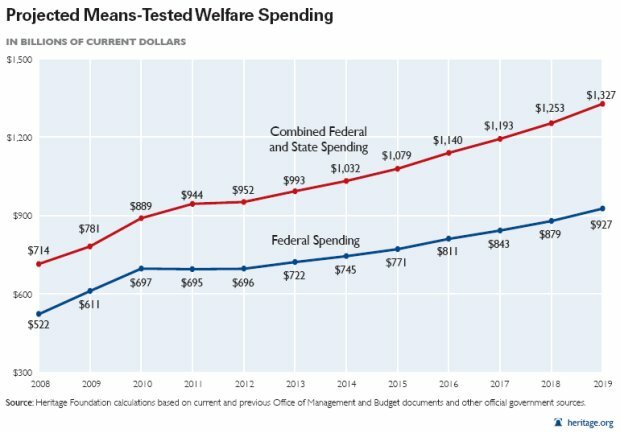 Question: how many years has the Congressional Budget Office warned that America's entitlement spending is "unsustainable"? More years than Klein's been alive, to be sure. Yet the progressives express an insatiable desire to confiscate private property, to centralize government and to ignore the Constitution while doing so, and see no limits to the scope of government. This country's Framers studied Cicero, John Locke, the Baron de Montesquieu, Adam Smith and others whose timeless wisdom were used to help construct a society of vast wealth, infinite freedom and limited government. 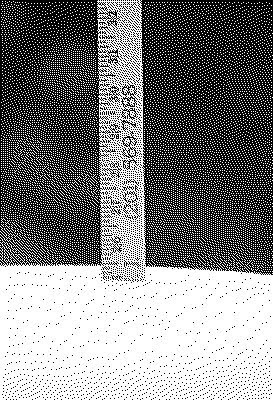 In little more than two hundred years, Americans defeated slavery, Nazism, military Shintoism and Communism; refined mass production; invented human flight; created 75% of all medical innovations on the planet; put a man on the moon; invented the telephone, the Internet and the search engine; and advanced humankind in millions of other ways, in every field and endeavor. Those achievements weren't created because of the Democrats' welfare state -- they were created in spite of them. Yet Klein ignores history, logic and reason and claims that progressives have some sort of equal claim to the Constitution. He is a bald-faced liar. This country's founders studied thousands of years of human history -- despotic regimes, authoritarian lunatics, totalitarian zealots -- and attempted to constrain government, not the individual. Klein clearly refutes the notions of the God-given rights of man, of private property and of carefully constructed limits on an all-powerful, centralized, authoritarian government. For progressives can articulate no limits on government, no checks on their insatiable appetite for control over the individual. The Founders of this country would despise you, Ezra Klein. You and your progressive ilk who reject the Constitution and the Declaration. You're a buffoon and a laughingstock -- and everyone knows it. Hat tip: Memeorandum. Linked by: Michelle Malkin, Pundit & Pundette, and Adrienne. Thanks! 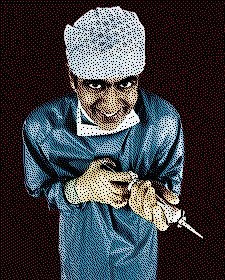 In a morbid sort of way, it's almost humorous that Democrats rammed through socialized medicine when the very welfare state they created is in the process of collapsing. Oh, and that's not me saying it -- that's coming from the Democrats in charge of these fiascoes. ... Every state has a unique formula for calculating the federal contribution for Medicaid. The 12 with the highest personal income, including California, New York, New Jersey, Connecticut and Colorado, typically depend on the U.S. government for about half their expenditures. Under the stimulus, the federal share rose to about 62 percent. In July it will return to the old formula, forcing the states to pick up 50 percent of the total cost of the program instead of 38 percent. You read that right. A large chunk of the Obama Stimulus program was directed to states in order to make up for Medicaid shortfalls and to keep their biggest backers -- union bosses -- in clover. Not much of a job creator, it turns out. I'm still waiting for Democrats to take credit for all of their wonderful programs. All of them: Social Security, Medicare, Medicaid, the Welfare State, and everything in between. Programs that ultimately crush the human spirit, bankrupt governments, and destroy democracy. In honor of President Ronald Reagan's 100th birthday, the Rose Bowl Parade will celebrate the life of the greatest president of the last century with a monumental float. 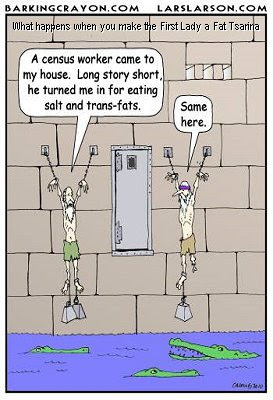 Courtesy of Hope for America, here's a sneak preview. If you're as big a Reagan fan as I am, it's also worth visiting the Reagan Library on the web or -- better still -- in person. 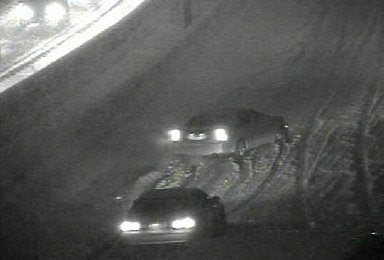 With the wisdom of Al Gore guiding my mouse, I offhandedly watch the results of a massive snowstorm on traffic cams. Vehicles spin out of control, sliding into one another, wreaking havoc and further snarling traffic. Guiding these robotic cameras, I feel like a lord of global warming climate change, watching as man's catastrophic effects on the atmosphere are felt through extreme heat record-setting cold. Thankfully, no matter how hot or cold it gets, I know that any minute now -- as Al Gore predicted -- the ocean levels will rise and wipe out this virus-like race called "humans." QOTD: "It's amusing to me how simple America's problems were when Democrats were out of power, looking to take over. We would just fix the economy. Snap! Fixed. Just cancel Bush's tax cuts for the rich and it would all be right as rain. We could just bring peace between Israel and the Palestinians, and convince the Iranians and North Koreans it was in their interest to give up the bomb; all we needed was a smart guy to speak the right words to these countries that Bush was too stupid to know... We could just get the oceans to stop rising, and just reduce our dependency on foreign oil, and just do this and just do that. It was all so very easy for the 2006-2008 Democrats to explain how they'd work these wonders. All they needed, they told the public, was to get the idiot Republicans out of office..." -- Ace, "Obama Destined For Scrapheap of History?" That applause you hear in the distance is the state of Ohio celebrating, albeit prematurely. The state of Ohio will lose two congressional seats thanks to the latest U.S. Census figures, and liberal stalwart Dennis Kucinich is worried his seat is on the chopping block. ...We are going to have to organize in a different way, now. The question will remain: Where? Over on the left side of the blogosphere, Zandar versus Himself agrees that Kucinich is at risk. 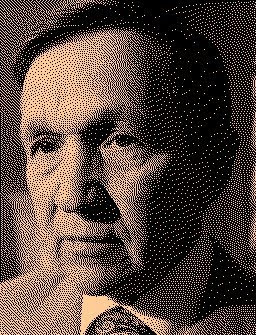 If Ohio was going to lose only one district, I figured Kucinich would actually be okay. (First target would actually be Tim Ryan in OH-17), but with two going, Kucinich's digs will be folded into Marcia Fudge's heavily urban Cleveland district, OH-11 and you have to figure Betty Sutton and Tim Ryan will see theirs folded together too. No doubt in my mind that Ohio will get rid of two Democrats, and phasing out Kucinich would be a big symbolic head to collect. And a pair of big ears to boot! I wonder what Cynthia McKinney does for a living? Perhaps she could serve as a template for Kucinich's new role in the private sector. I'm sure she's extremely successful... (trying to control belly laugh). 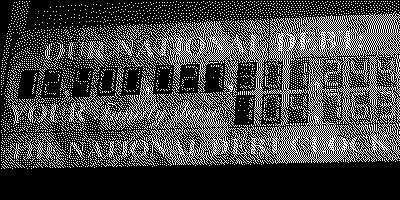 It would appear that CNN's ratings now trail airport radar and the big round sudsing window at the laundromat. Fox owned the top 12 cable news shows in average total viewers and swept the top 10 among 25-54-year-olds (MSNBC's "Countdown With Keith Olbermann" came in 13th and 11th, respectively). Even the nightly repeat of the “O’Reilly Factor” averaged more viewers than MSNBC and CNN shows. Seriously -- who watches The Mr. Ed Show or Keith Olbermann -- except for comic relief? Q: If you're the Democrat Governor of a Blue State With a $15 Billion Budget Deficit, What Do You Do? A: Borrow More Money! Does anyone else think of the phrase "death spiral" when they read a story like this? 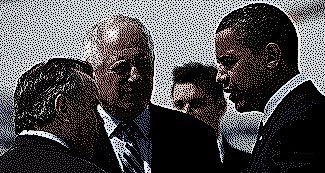 Illinois' borrowing spree would continue into 2011 under a plan Governor Pat Quinn is floating to sell more debt to deal with a huge unpaid bill backlog and pension payments... The state's lack of cash could lead to a $15 billion deficit that would include $8 billion of unpaid bills heading into fiscal 2012, which begins July 1, the state comptroller has warned. ...The state is betting on a good reception in the $2.8 trillion municipal bond market to borrow as much as $15 billion next year because debt service payments are a top priority... Illinois was the biggest single issuer of municipal debt, at $8.67 billion, in the first three quarters of 2010, according to Thomson Reuters data. The cost for a bondholder to insure against a default by Illinois has more than doubled in less than a year. 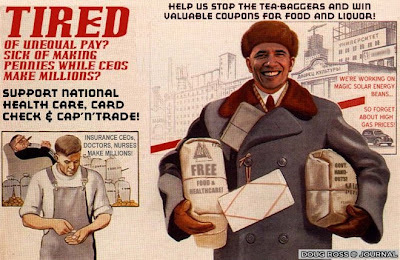 The collapse of the welfare-slash-open borders economy will be felt first in reckless, "progressive" Blue States like Illinois, New York and California. And if someone comes to me floating a federal bailout for these states, I have but a two-word response. The second word is "you". The first word is not printable in a family blog. And "Hellz, no" works almost as well. Is there a better predictor of economic failure than President Obama's support for a particular policy? 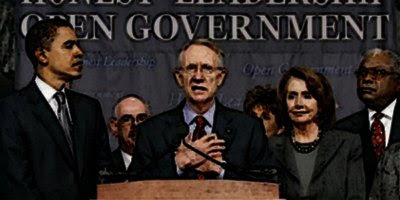 I could make a solid case that there isn't a superior guarantee of an epic fail than support by Obama, ex-Speaker Nancy Pelosi and Harry Reid. They have an absolutely perfect track record of visiting catastrophe upon the American people with their policies. 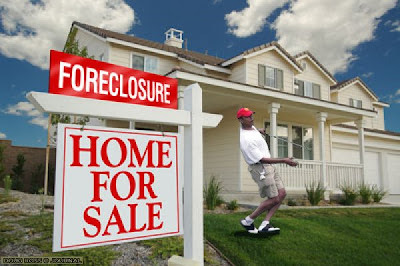 ...As these [newly foreclosed] properties come on the market, they are expected to depress home prices by between 5 per cent and 10 per cent over the next year, economists said... Hamp modifications totalled 504,648 as of November, well short of the government’s 3m target. Even when borrowers receive loan modifications, they are redefaulting at high rates. According to a report by the Congressional Oversight Panel, 40 per cent of borrowers who receive a Hamp modification are expected to redefault over the next five years. In other words, HAMP neither met expectations for volume of refinancing (by a factor of six) or in preventing foreclosures. FAIL: "Green jobs" in the form of weatherization programs that have been utter, cash-burning frauds and failures. A series of spot-check audits of the $5 billion program indicates that fraud is rampant -- easily 20% can be chalked up to phantom services, blatant overspending on simple items, and unverifiable expenses. But not to worry -- it's only a billion dollars of wasted money, a pittance for this administration. These are the economic qualifications of President Obama and his Congressional sycophants -- the very same masterminds who are in the process of nationalizing the health care sector. I'll give you one guess as to how that's going to turn out. Our beloved, baritone head of Homeland Security appears to employ a simple slogan when it comes to security: "If you see something, say something--unless it's embarrassing to me or President Training Wheels." 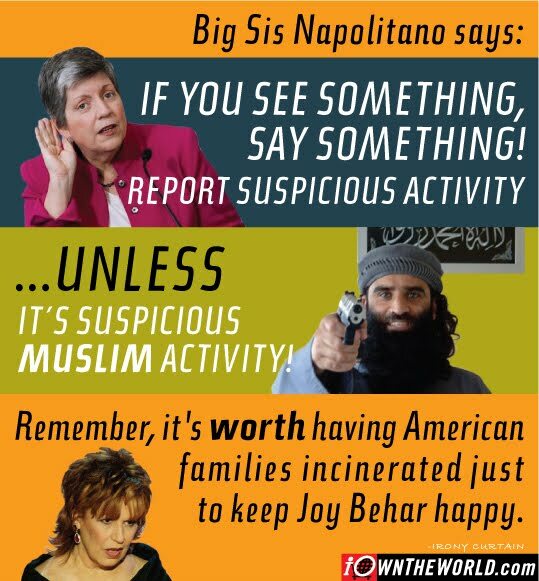 In that light, famed illustrator Irony Curtain created a new security poster certain to resonate with Ms. Napolitano. This poster should pass muster with the ultimate arbiter of such matters -- the shadowy Hamas front group that seems to call the shots in certain quarters of the Democrat hierarchy. Image: Gateway Pundit -- Who Would Make the Worst Neighbors? So the Democrats Finally Want Fiscal Responsibility? Great. 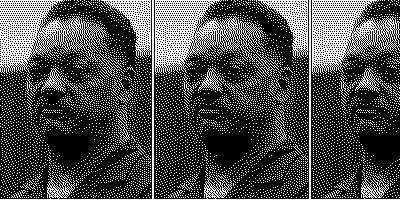 Let's End Their Disastrous "War on Poverty"
Jesse Jackson appeared on MSNBC yesterday and let it be known that President Obama better enjoy his vacation now, because come January, Jackson expects a lot from the President. Not only does he want a renewed commitment to the war on poverty, but he also wants the President to go right to Congress and to stick up for the women and children Jackson meets in homeless shelters who apparently are working every day and still can’t afford the rent. Jackson has seen enough and calls for “a radical reordering of our economy, bottom up, because those, the very top are drowning in wealth. It’s paper-driven not even productivity-driven.” Given Jackson’s unique and mangled pronunciation of so many words in the brief clip, it sounds like Jackson is actually the one under water and drowning... Overall it’s debatable which is crazier: the radical rearrangement of the economy or the idea that Obama wants economic advice from Jackson. I can answer that question. 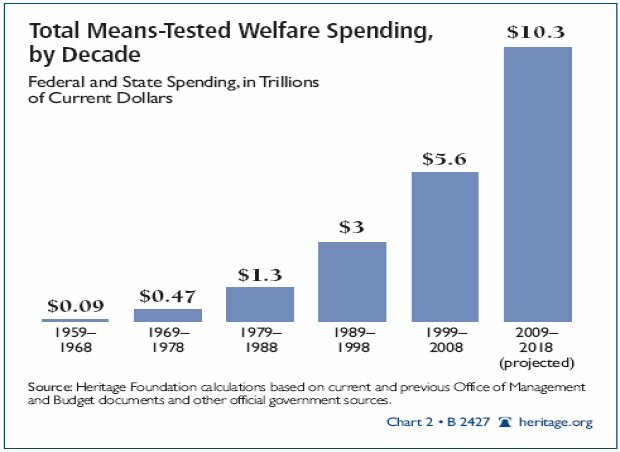 Since the inception of means-tested welfare programs in 1964, Americans have spent $15.9 trillion on the "War on Poverty". Coincidentally, our national debt is approaching $15 trillion and is projected to top $20 trillion by the end of the decade. 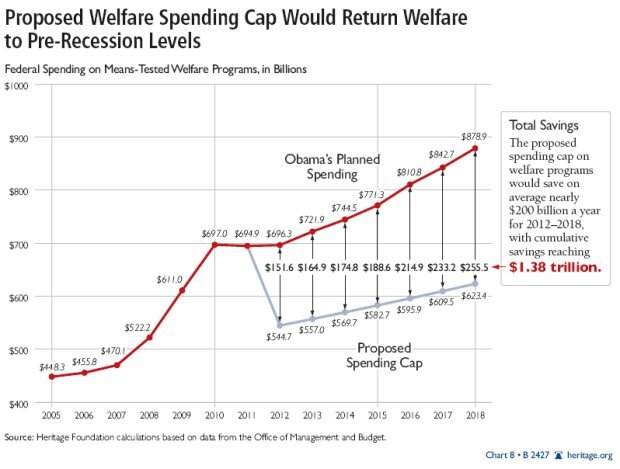 After adjusting for inflation, America's welfare expenditures are 1300% higher than in 1965. And the results have been absolutely catastrophic. But the documented failures haven't stopped President Obama and the Democrats from charting a course for massive new spending programs, at a time when the country can least afford it. 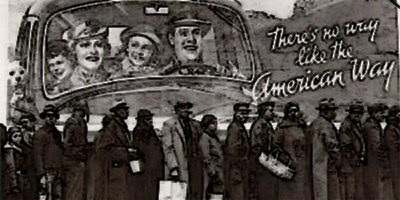 A record number of Americans -- 3.7 million -- fell into poverty in 2009, according to the Census Bureau. 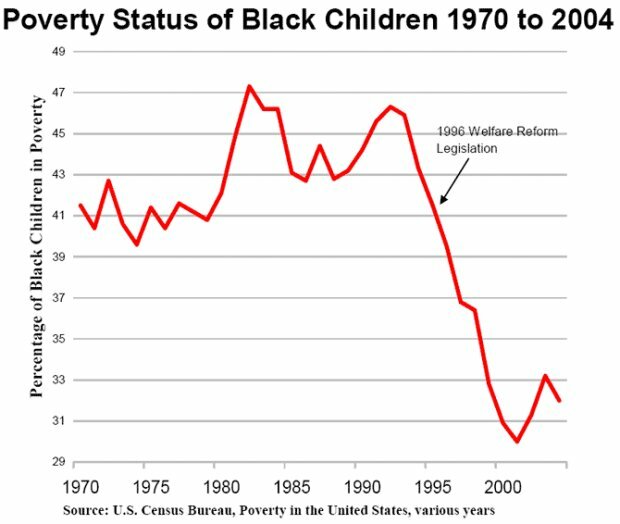 And the percentage of poor today is virtually unchanged from what it was in 1966. America's poverty rate stays within a range of 11 to 15 percent, year in and year out, no matter how many trillions in money borrowed from our children we spend. The out-of-wedlock birthrate is now 40 percent and the African-American out-of-wedlock birthrate is a shocking 72 percent. 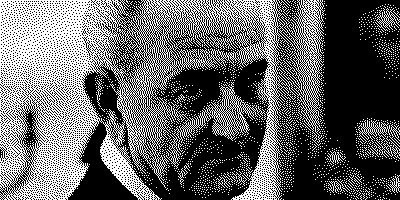 But when the "War on Poverty" began, the out-of-wedlock birthrate was just 7 percent. Of 23 peer-reviewed U.S. studies since 2000, 20 found that family structure directly affects crime and/or delinquency. Research "strongly suggests both that young adults and teens raised in single-parent homes are far more likely to commit crimes, and that communities with high rates of family fragmentation (especially unwed childbearing) suffer higher crime rates as a result." In The Atlantic Monthly, Barbara Dafoe Whitehead states that the "relationship [between single-parent families and crime] is so strong that controlling for family configuration erases the relationship between race and crime and between low income and crime. This conclusion shows up time and again in the literature. The nation's mayors, as well as police officers, social workers, probation officers, and court officials, consistently point to family break up as the most important source of rising rates of crime." 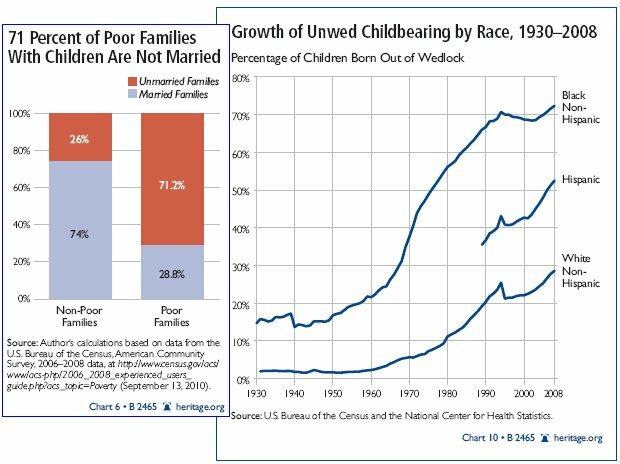 What legacy media and Democrats won't tell you is this shocking fact: the statistical link between the availability of welfare and out-of-wedlock births is conclusive. 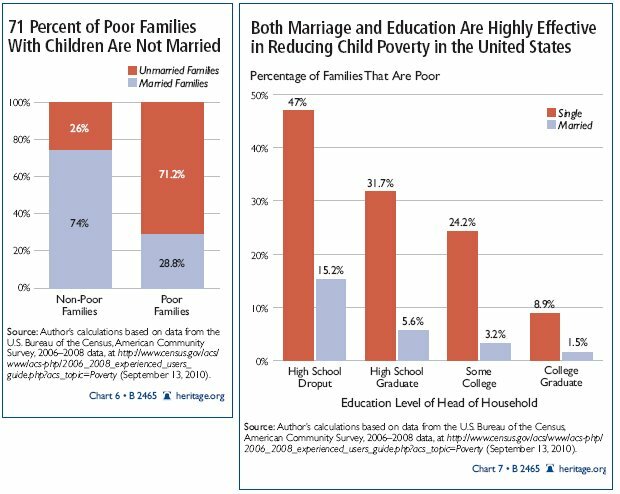 The more welfare society provides, the more single-parent families society creates. 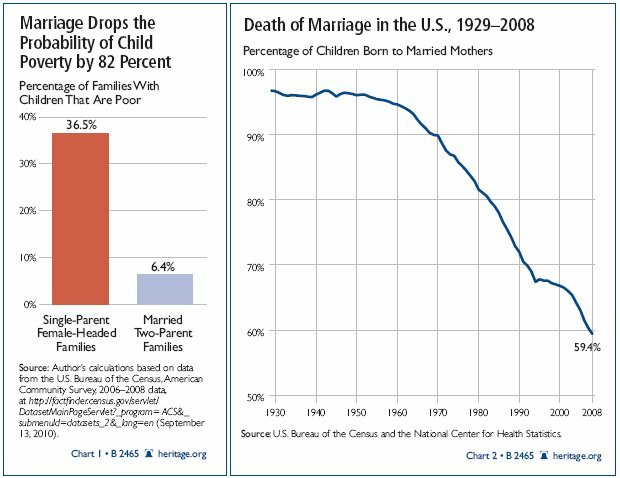 There have been dozens of studies that link the availability of welfare benefits to out-of-wedlock births. 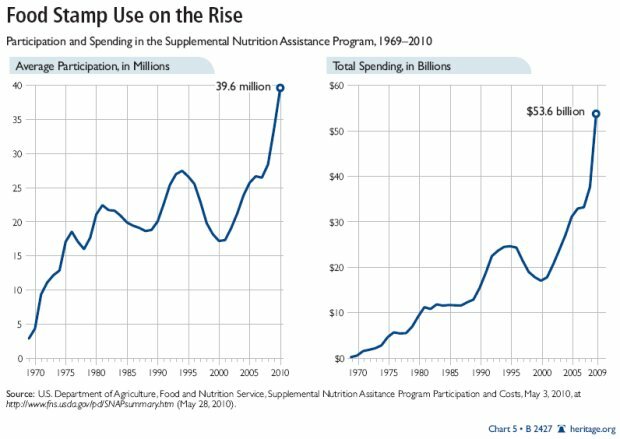 One study found that a 50 percent increase in the value of AFDC and foodstamp payments led to a 43 percent increase in the number of out-of-wedlock births. Research for the U.S. Department of Health and Human Services showed that a 50 percent increase in the monthly value of combined AFDC and food stamp benefits led to a 117 percent increase in the crime rate among young black men. 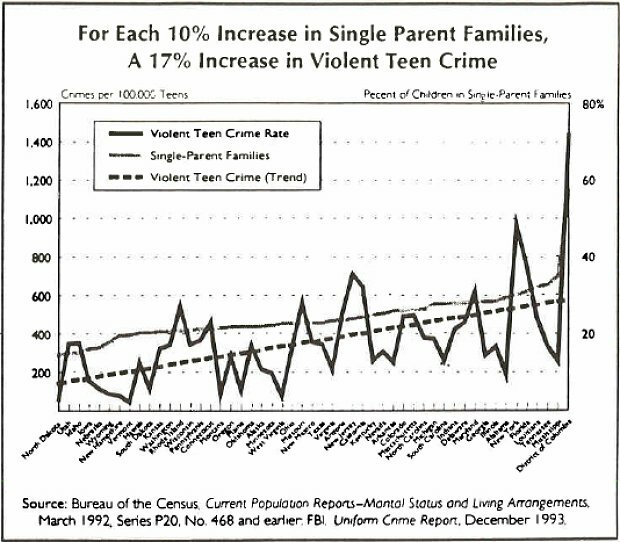 In 1995, Dr. Patrick Fagan wrote a seminal summary of the situation: "Over the past thirty years, the rise in violent crime parallels the rise in families abandoned by fathers... High-crime neighborhoods are characterized by high concentrations of families abandoned by fathers... 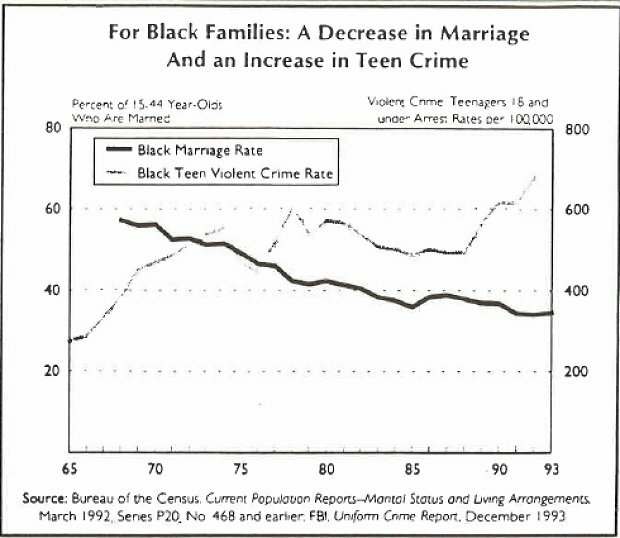 The rate of violent teenage crime corresponds with the number of families abandoned by fathers... Neighborhoods with a high degree of religious practice are not high-crime neighborhoods... Even in high-crime inner-city neighborhoods, well over 90 percent of children from safe, stable homes do not become delinquents. By contrast only 10 percent of children from unsafe, unstable homes in these neighborhoods avoid crime... Criminals capable of sustaining marriage gradually move away from a life of crime after they get married." To summarize these facts (in simple words for any Democrats reading along): not only has the "War on Poverty" been a $15 trillion failure, it has actually caused more misery, more poverty, and more violent crime than if we had never spent that money in the first place. President Obama wants ideas to help balance the budget. Here's one: end the failed "War on Poverty", once and for all. References: Washington Examiner, 12/12/10, "Let a vigorous economy fight the War on Poverty"; Heritage Foundation, 9/16/10, "Marriage: America’s Greatest Weapon Against Child Poverty."